Honestly? 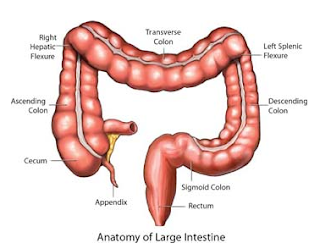 I think of the colon in the body. You have to put a "semi" in front of it for me to think of punctuation. I thought of the later, the part in the body. I think of the General. As in General Powell. body part for sure...that's the kind of cancer my Mom has. Gross but true. I have IBS (Irritable Bowel Syndrome) so I immediately think of my intestines. I wonder what the volume of that thing is in a 3-month-old.